If UK Internet usage was condensed into 1 hour, this is what it would look like. Have you ever wondered how the UK’s monthly Internet usage would look if it was condensed into a single hour? No, neither had we. 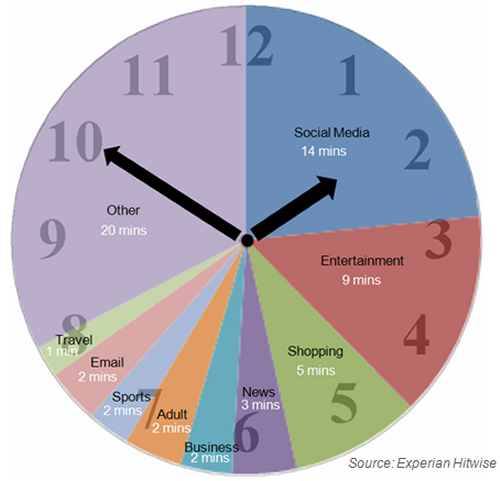 But the infographic below, based on data from Experian Hitwise, does exactly that, and it is interesting to see how we’re all whiling our time away on the Web. As you can see, social media accounts for the most time spent online, and this perhaps isn’t all that surprising given that half the UK population is now on Facebook. Almost a quarter of every Internet hour is spent perusing news feeds, status updates and the myriad of other social tidbits that permeate cyberspace. 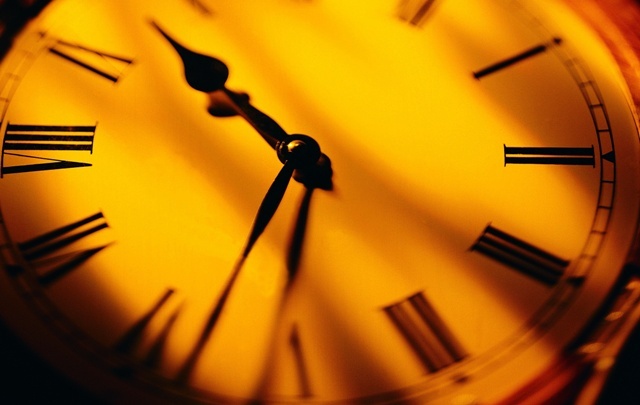 Indeed, according to Hitwise, half of all social networking visits were to Facebook with an average visit time of 22 minutes. Entertainment is the second biggest category, accounting for 9 minutes of every Internet hour, with video-on-demand sites such as BBC iPlayer and 4OD proving particularly popular.